A stealing charge can be a felony or a misdemeanor and can be filed at the municipal court or the state court level. Criminal attorney Justin Summary of The Summary Law Firm has represented clients charged with all of the below types of stealing offenses. If you are charged with a stealing crime you should contact a criminal lawyer immediately because, in addition to the possibility of jail time, a stealing conviction could remain on your record permanently and could affect your ability to find employment opportunities in the future. A person commits the crime of stealing when they take property or services from someone without that person's consent or by using deceit. Stealing property or services of a value less than $150 is a D level misdemeanor if the person has no previous findings of guilt for a stealing related offense. If the person has a prior finding of guilt for a stealing offense or the value of the property is over $150 but less than $750, the stealing offense is a level A misdemeanor. If the value of the property is less than $750 but the person has previously been found guilty of three stealing related offenses committed on three separate occasions when those offenses occurred within 10 years of the date of the present offense, the offense is an E level felony. If the value of the property or services is $750 or more but less than $25,000 then the offense is a D level felony. If the value of the property or services is $25,000 or more then the offense is a C level felony. Depending on what is stolen and the person's prior record, stealing offenses can be A or B level felonies as well. 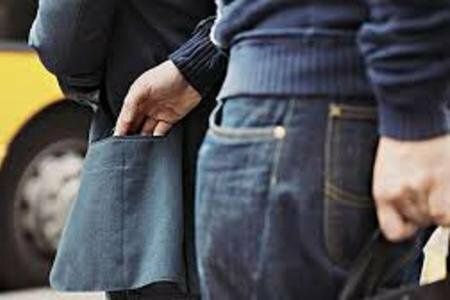 If you are facing stealing charges or have been accused of a petty theft crime, contact criminal defense lawyer Justin Summary today for a free case evaluation. A person commits the crime of receiving stolen property if he or she receives or disposes of property believing that it has been stolen. To prove the knowledge element of this crime, prosecutors often show evidence that the person got the stolen property in exchange for something which he or she knew was far below its reasonable value or that he or she took the stolen property under circumstances that should cause a person to believe the property was stolen. If you have been accused of the crime of receiving stolen property, contact criminal lawyer Justin Summary today for expert legal advice. Fraudulent use of a credit or debit device occurs when a person uses a credit or debit device to obtain services or property, knowing that their use of the device is unauthorized. Fraudulent use of a credit or debit device is a class A misdemeanor, unless the value of the property or service was $750 or more, in which case it will be considered a class E felony. If you are charged with fraudulently using a credit card, contact criminal defense attorney Justin Summary today! A person commits the crime of forgery when they intend to defraud by making or altering a written work so that it appears to have been made by someone else or to give the writing a genuineness, antiquity, rarity, ownership or authorship which it does not possess. It is also considered forgery to use or transfer a written work when you know it has been altered. Forgery is a class D felony. If you are charged with forgery, contact The Summary Law Firm today to discuss the possible consequences that the felony charge of forgery carries. The crime of burglary in the second degree is a class D felony and is committed when one knowingly enters or remains unlawfully in a building or inhabitable structure for the purpose of committing a crime therein. If the person is armed with a deadly weapon, causes or threatens immediate physical injury to a victim or if someone is present in the home or structure at the time of the burglary, it is considered burglary in the first degree and is a class B felony. The punishment for a burglary conviction can include prison time, so if you are facing a burglary charge contact defense attorney Justin Summary today! Criminal defense lawyer Justin Summary of The Summary Law Firm has represented clients charged with all of the above types of stealing charges. If you have been charged with a stealing offense contact a criminal lawyer with experience defending stealing charges. Contact criminal defense attorney Justin Summary today for your free case evaluation!